Here another of our longtime favourites and companions; t. kilgore splake, the bardsmith of the Upper Peninsula. In twenty years splake has become a legend in small press circles for his writing and photography. His artist supporters believe that splake possesses an original creative vision as well as exhaustive working habits. He is a celebrated photographer, editor, Pushcart Price nominee poet and a vigorous mountain & cliff climber. 34 pages of poetry. Cover art by Henry Denander. All 150 books signed by the author in Calumet, Michigan. 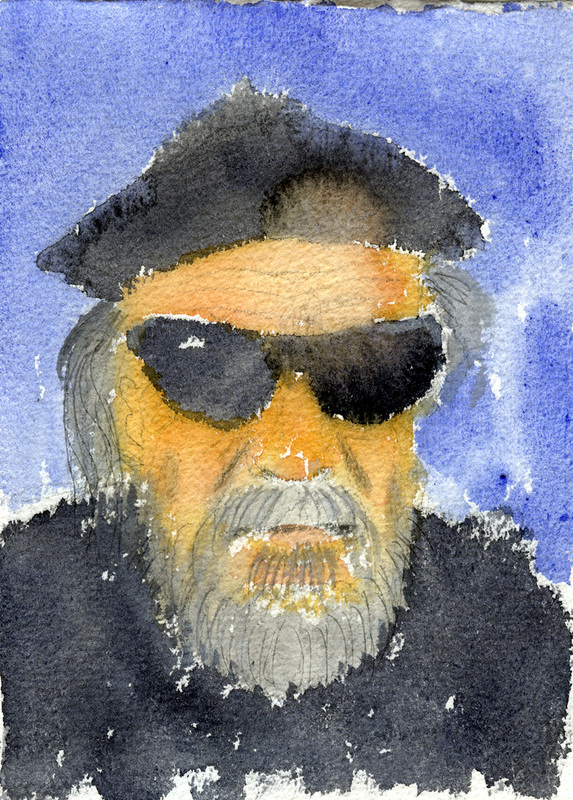 Twenty-five of the books come with a signed water color by Henry Denander. Mini-chapbook format, in wraps. Sweden, please pay SEK 60 per book to Bankgiro 5889-0781, price including postage. 150 SEK for the limited version. Email to reserve. Books are also to be found at Bokmagasinet, Stockholm. 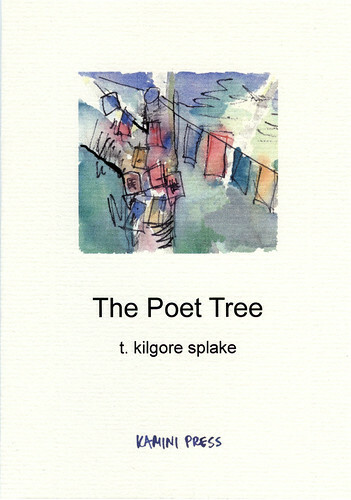 t. kilgore splake was born as Thomas Hugh Smith in 1936, in Three Rivers, Michigan. While teaching at Kellog Community College in Battle Creek, splake began writing poems. In 1989, he chose to take an early retirement as a college professor, to live in creative poverty and find his poetic voice. Upon retirement, he moved to Michigan’s upper peninsula, living for ten years in Munising, before moving to Calumet in the Keweenaw peninsula. In twenty years splake has become a legend in small press circles for his writing and photography. His artist supporters believe that splake possesses an original creative vision as well as exhaustive working habits.